The truth, however, is that they can boost your brain functions by way of neurotransmitters. Yes, let’s talk science for a moment (don’t worry, I may be a nootropics geek but I was never a science major, so I’ll make this easy). Each nootropic or smart drug works in its own way but nearly all have the same characteristic, namely to increase, improve or alter the supply of enzymes, hormones or neurotransmitters in the brain. How Do Nootropics Affect Neurotransmitters? It’s probably not a surprise to anyone when I say that our brains are essentially a maze of pathways or a network of neurons, all connected together by synapses. It is vital that these neurons talk to one another and work together to ensure fluid responses by the body. So where do the aforementioned neurotransmitters come in? The neurons use neurotransmitters as the means to communicate with one another, making them the equivalent of the latest IM app or smart phone. (I’m all about the technology). Of course, the more neurotransmitters you have (or the better they work), the better your communication. And improved communication between different parts of the brain means enhanced concentration, longer attention span, a better memory, processing ability and more. Congratulations, your brain has just upgraded from a ZX Spectrum to the latest Apple iMac! No one knows exactly how many neurotransmitters there are in the human brain, but it’s over 100, each with their own specific role to play in the greater whole. So there are a LOT of ways that nootropics can influence the brain. Many nootropic drugs or supplements focus on just one specific neurotransmitter, with different substances tackling different neurochemicals. This is why nootropic ‘stacks’, or groups of substances sold together, are so popular, helping to widen the benefit of nootropics. The original drug nootropic, Piracetam, for instance, works specifically on the levels of acetylcholine in the brain. Acetylcholine is a neurotransmitter responsible for the plasticity of synapses, with increased levels making it easier for synapses to link up. Why is this so important? Our memory is made up of matrices of synapses and how well we remember things is directly tied into how well these synapses link. That’s why Piracetam has shown memory improvement in people with dementia. Other nootropics alter the production of different neurotransmitter systems, such as dopamine (the herbal extract Mucuna Pruriens being one example), which in turns influences cognitive ability. According to scientificamerican.com, despite only weighing about 1.4kg, the average adult human brain demands 20% of our body’s energy, or resting metabolic rate (RMR). Our RMR varies depending on gender, size, health and age, but assuming an average RMR of 1,300 calories, our brains need the equivalent energy of 30 minutes high-impact aerobics or bicycling at all times… and that’s just to keep things going up there. Certain nootropics, such as creatine supplements, help to boost energy in the brain by increasing the level of the neurotransmitter adenosine triphosphate (ATP) in the brain. Certain nootropics are said to have vasodilation effects – which in a nutshell means that they increase blood flow to the brain. This in turn delivers more oxygen, nutrients and glucose – the brain’s primary energy source. Popular with students for their immediate effects, these nootropics therefore help to strengthen your focus and aid your memory. Some nootropics contain the raw materials needed for repairing or maintaining brain cells, as well as helping to form new cells and creating new connections between those cells. Antioxidants are the wonderful little devils that tackle free radicals which cause aging throughout the body. The brain creates free radicals by burning oxygen, but only a few antioxidants can protect the brain. Certain nootropics such as Methylene Blue can boost this number. Independent experts will tell you that the science hasn’t been proved for many of the nootropic drugs on the market, and that’s certainly something I will highlight as I examine each drug in turn. In many cases, there just aren’t enough high-quality studies to determine their effectiveness one way or another. Piracetam, for instance, has primarily been studied for its impact upon memory and cognitive improvement in people with dementia or similar conditions. Only a couple of small insignificant studies have examined its role on healthy people, neither of which show much significant benefit. Other drugs, such as Modafinil, have shown promise in helping people with ADHD but may actually be a hindrance to healthy individuals as studies suggest it slows down responses without improving accuracy. Each of these drugs and many more will be examined indepth in our review section, as will the benefits of natural nootropic supplements. One factor to consider with all nootropics, however, is that specific ingredients aside, their effectiveness also depends on the taker’s own neurochemistry, which is closely tied to weight, mood, sleep patterns and more. As a result, effects and benefits can vary tremendously. Boosting the brain’s neurotransmitters in a safe and effective way is alchemy of sorts. 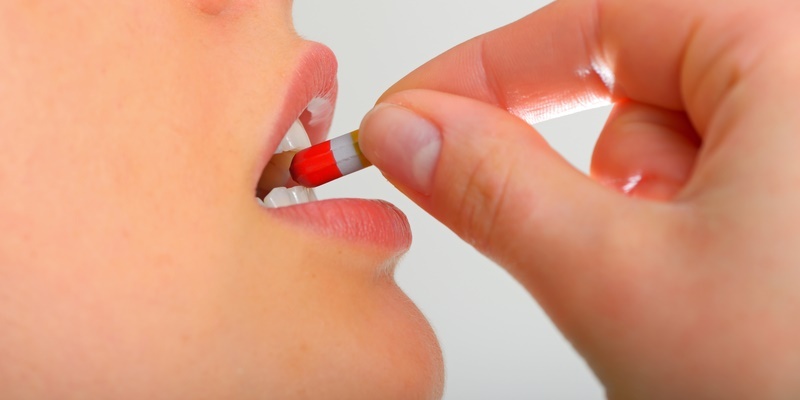 Use the wrong drugs or supplements, and you may not see much of an upside. Alternatively, too much stimulation, and you cannot relax, rest or sleep well. You may suffer from insomnia, anxiety, teeth grinding and more. That’s why you need an expert – or a nootropic geek – to guide you through the choices. Luckily, you came to the right place!